Institute for Political Economy via OpEdNews, Cops Gone Wild, Paul Craig Roberts (shown in file photo), Aug. 15, 2014. Ferguson is a small overwhelmingly black town in Missouri whose government and police are white. The Ferguson police murdered an 18-year-old black kid who has his hands over his head. The shooting of Michael Brown is shown in an image via YouTube. Moreover, it is unclear that the kid had committed any offense. Unarmed protesters in Ferguson are confronting a small-town police force that is as well or better armed than America's combat troops on battlefields in countries invaded by Washington. Police victims have no rights, and in the vast majority of cases neither do the families of the murdered police victims. Compensation to the families of murdered police victims is rare. In America, a police badge is a license to murder. Watchdog.org, The federal government has taken over the case of an FBI employee involved in a fender bender, Kenric Ward, Aug. 19, 2014. |D.C. police issued Benjamin Huff a $100 ticket after he allegedly scraped another vehicle looping around Sheridan Circle during rush hour.Such routine traffic accidents are assigned to the city’s Department of Motor Vehicles’ Adjudication Services. But Huff made a federal case of his mishap by asking the U.S. Department of Justice to step in. On Friday, an assistant U.S. attorney got Huff’s case “removed” to U.S. District Court. Civil libertarians see a slippery slope where more than 3 million full- and part-time federal employees can get free DOJ counsel and a court of their choice for local offenses. Facebook, Fuller the Wife-Beater, Dana Jill Simpson, Aug. 16, 2014. I thought you all might enjoy Andy Kreig's new article in Alabama's Milbrook Independent, Siegelman’s Judge Charged With Wife Beating. Andy highlights all that I said about Mark Fuller's role in the Siegelman case years ago. He also mentions how I was furious at the University of Alabama Law School for allowing Fuller to speak on ethics several years back. I thought I would share before you read it exactly why I thought it was so horrible that the university brought Fuller to campus that year. I knew the kind of man Fuller was as a result of the Siegelman case. He chose to speak while Don Siegelman's boy was studying there. I heard from a Republican at the time that Fuller did it to hurt Joseph Siegelman, as he was a well-respected student at the law school. Well folks, it did not work. Joseph bravely stood up for his dad! It is sad still today that the University of Alabama Law School allowed itself to be used as a political tool for the Republican Party to try to re-image Judge Fuller, the wife beater, as ethical. They can claim all they want they did not know. But every lawyer around who knew of Judge Fuller had heard for years how he treated women and political foes. It was no secret in courthouses he worked in. When Siegelman's office investigated Fuller for backlogging pay records it was the opinion of many that the people Fuller was over-paying knew he was having affairs. To keep them quiet, he met their demands with extra work time and money -- which is one reason the state retirement system fought Fuller so hard on the overpay. They did not want to pay for his running all over the place with women on the state's dime. Dana Jill Simpson is an Alabama attorney and former political researcher for Republicans who stepped forward in 2007 to provide documentation that Democratic former Alabama Gov. Don Siegelman (1999-2003) had been framed on corruption charges, most notably that he acted illegally in 1999 by reappointing to a state board businessman Richard Scrushy, a Republican who had donated to the Alabama Education Fund. Scrushy served a seven-year prison term. Siegelman, whose 2007 seven-year-sentence was interrupted by appeals, is finishing the rest of it, minus a year reduced during the appeals process. Simpson, now a political independent, is pursuing advanced academic degrees that combine religion and other spiritualism with women's studies. With permission, the essay below is excerpted and lightly edited from her Facebook page. The Justice Integrity Project, like other news outlets, has repeatedly requested without success substantive comment through the years from the subject of the column, U.S. District Judge Mark E. Fuller. He is the former chief judge of the U.S. District Court from 2004 to 2012 of Alabama's middle district based in the state capital of Montgomery. Atlanta police arrested him Aug. 9 on a misdemeanor charge of battery following a complaint from his wife, as widely reported. Simpson is shown in a screen shot from a 2008 CBS 60 Minutes Show in which she and others made strong allegations against federal prosecutors of Siegelman and Scrushy. But CBS failed to report her allegations against Fuller, including reports that the judge "hated" Siegelman and that a defense contractor the judge secretly controlled as its largest shareholder had received $300 million in no-bid federal contracts..
Facebook, Fuller the Wife-Beater, Dana Jill Simpson, Aug. 16, 2014. I thought you all might enjoy Andy Kreig's new article in Alabama's Milbrook Independent, Siegelman’s Judge Charged With Wife Beating. Andy highlights all that I said about Mark Fuller's role in the Siegelman case years ago. He also mentions how I was furious at the University of Alabama Law School for allowing Fuller to speak on ethics several years back. I thought I would share before you read it exactly why I thought it was so horrible that the university brought Fuller to campus that year. I knew the kind of man Fuller was as a result of the Siegelman case. He chose to do it [speak] while Don Siegelman's boy was studying there. I heard from a Republican at the time that Fuller did it to hurt Josh Siegelman, as he was a well-respected student at the law school. Well folks, it did not work. Josh bravely stood up for his dad! It is sad still today that the University of Alabama Law School allowed itself to be used as a political tool for the Republican Party to try to re-image Judge Fuller, the wife beater, as ethical. They can claim all they want they did not know. But every lawyer around who knew of Judge Fuller had heard for years how he treated women and political foes. It was no secret in courthouses he worked in. When Siegelman's office investigated Fuller for backlogging pay records it was the opinion of many that the people Fuller was over-paying knew he was having affairs. To keep them quiet, he met their demands with extra work time and money -- which is one reason the state retirement system fought Fuller so hard on the overpay. They did not want to pay for his running all over the place with women on the state's dime. NBC News, Michael Brown Killing: Police in Ferguson Fire Tear Gas Amid Looting, Cassandra Vinograd and Erin McClam, Aug. 16, 2014. Armored vehicles rolled back onto the streets of Ferguson early Saturday, as riot police faced off with looters in the Missouri town gripped by protests since the fatal police shooting of an unarmed black teen. The violence broke the brief period of calm that had settled over Ferguson, Missouri, after outrage over the shooting of Michael Brown spilled over. Milbrook Independent, Siegelman’s Judge Charged With Wife Beating, Andrew Kreig, Aug. 16, 2017. Facebook, Fuller the Wife-Beater, Dana Jill Simpson, Aug. 16, 2014. I thought you all might enjoy Andy Kreig's new article. Andy highlights all that I said about Mark Fuller's role in the Siegelman case years ago. He also mentions how I was furious at the University of Alabama Law School for allowing Fuller to speak on ethics several years back. I thought I would share before you read it exactly why I thought it was so horrible that the University brought Fuller to campus that year. I thought it was horrible not only because I knew the kind of man Fuller was as a result of the Siegelman case but because he chose to do it while Don Siegelman's boy was studying there. I heard from a republican at the time that Fuller did it to hurt Joseph Siegelman as he was a well respected student at the law school. Well folks it did not work Josh bravely stood up for his dad! It is sad still today that the University of Alabama Law school allowed itself to be used as a political tool for the Republican Party to try to reimage Judge Fuller the wife beater as ethical. They can claim all they want they did not know but every lawyer around who knew of Judge Fuller had heard for years how he treated women and political foes it was no secret in courthouses he worked in. I might add when Don Siegelman's office had investigated Fuller for backlogging pay records it was the opinion of many that the people Fuller was over paying knew he was having affairs and to keep them quite he met their demands with extra work time and money. Which is one reason the state retirement system fought Fuller so hard on the overpay they did not want to pay for his running all over the place with women on the state's dime. So when I heard the University of Alabama Law School was inviting him to speak I was pretty disgusted and saw it got covered by a few reporters as I knew Fuller was ethically challenged and him speaking on ethics just seemed so wrong. The University of Alabama as a result of this ridiculous invitation now has the distinction of having ask and honored a Wife Beating Judge to speak on ethics which to me is outrageous. I have zero tolerance for wife beaters or Judges who stay in political cases they have conflicts in. I have heard from some not to use the word wife beater but even if he gets off criminally he still beat the hell out of poor Kelli we all heard a part of the fight thanks to 911. His own family has showed us just how ethical he is as it is them we learned this story from in the police report and I for one believe them. This causes me to think about young Josh Siegelman and how he stood up to this man about the innocence of his father in front of his classmates. It makes me realize I was right to come forward for Don Siegelman he and his wife and kids are brave people and I hope that Kelli and her kids get away from this guy and are brave as well and from what I read her boys were brave young men that night and took her home. I think the damage Mark Fuller did to Kelli's was horrible. I also think the harm he did to Siegelman and Scrushy was horrible. Their families suffered and as for the University of Alabama Law School well I expect better. I hope we never see a time again in this state when a law school is used to reimage an ethically challenged wife beating Judge. What message does it send that they let a well know womanizing Judge who there was whispers about wife beating speak on ethics. So yes I guess I can say at the time I was furious but now I am profoundly sorry they let my law school be used as an reimaging tool for wife beating Judge Fuller. Those of you who know me know I have spent 25 years in the trenches working in the courts in rural Alabama to protect families as much as I could from domestic violence and to have this guy just keep beating on women while sitting on the bench is intolerable not just for me but is an insult to all women in this state. To hold him up as a beacon of ethics did make me furious and I got right to work seeing the stories got told as to what is really going on. It now makes me sad cause they had heard the stories I know they had as the reporters I helped told them! Why would they do such which is what I want to know?Fuller should be removed from that bench. He is unworthy of it how could any woman in our state feel safe ever again in front of him. I am proud I spoke out against him and told Siegelman and Scrushy all that the republicans had to say about him as they knew him as a womanizer all the way back to the backlogging which is why he hated Don Siegelman so much from what I was told .Don knew I was telling the truth on Fuller when I first came forward as he remembered the investigation but had not realized the deep grudge Fuller held for him nor did he know about the millions in contracts he was being paid. Looking back I don't think Don Siegelman realized he had stumbled on Fuller's fatal flaw of being a womanizer as Don's bunch was only trying not to lose a bunch of state money. I don't think they realized Fuller's women problems went so deep but he will have to speak to that himself but that I believe has always been the core of Fuller's hatred for Siegelman. Scrushy back then upon hearing my story hired an independent investigator to check it out as he had not known and everything I had told him checked on Fuller including the back logging story. .Don Siegelman and Scrushy fearing for my safety since my house mysteriously exploded in flames and my car got ran off the road did not mention my name in their motions by Parkman but attached some of my documents. Fuller took that research and complained to the Choice point people who cutoff my friends company who had helped me prove my claim of vast government contracts. Millions upon millions paid right during the. Trial of Don and Richard. It is hard to imagine all that has happen but I for one hope whether Don gets out or not which he should that we get this wife beating Judge off the bench so he can do no more harm to our state. It is time for not only the democrats to call for his removal but also the republicans. He is an embarrassment. Surely George Bush regrets this appointment decision as he always stood for zero tolerance as well. Lets get Fuller off the bench and let's do it fast! We must not tolerate a wife beater and cheater any longer sitting on the bench. As for Don Siegelman well you all know I think he is innocent and I have faith that we can close this story . I hope the 11 th circuit realizes and learns that years ago Don office tried to stop a young DA from wasting state pension money to pay hush money to folks that knew he was having an affair. That years later the DA became a judge and deep to his core he hated Don when it really was his own actions that cost him public embarrassment. So he shackled and chained Don Siegelman in a case he had no business staying in as he had a conflict. He thought the truth would never surface and this is no fairy tale he beat his wife and well folks it all came out all his affairs even the one that Don Siegelman 's office investigated him on When he was trying to over bill the state all those years ago. That is how true hatred starts. That is why Mark Fuller hates and always did from day one Don Siegelman. Poor Don's people should have put Fuller in jail when they caught him trying to cover up his affair with retirement backlogging .They did not go there as Don was too much of gentlemen but Fuller let that hatred grow of folks knowing something was wrong and he had no problem throwing away the key on Siegelman and Scrushy. It is strange how it has all come out now but I am glad! My grandmother Simpson use to say you can't hide the truth it has a way of shining out. Well maybe this will have a fairy tale ending that is if Fuller gets removed from the bench for the very reason he hated Don Siegelman. Plus Siegelman gets the new trial he has ask for! As for me well I go merrily on my way and can say all you folks that lied on me well shame on you. It appears truth is marching on folks. I thought you all might enjoy Andy Kreig's new article. Andy highlights all that I said about Mark Fuller's role in the Siegelman case years ago. He also mentions how I was furious at the University of Alabama Law School for allowing Fuller to speak on ethics several years back. I thought I would share before you read it exactly why I thought it was so horrible that the University brought Fuller to campus that year. I thought it was horrible not only because I knew the kind of man Fuller was as a result of the Siegelman case but because he chose to do it while Don Siegelman's boy was studying there. I heard from a Republican at the time that Fuller did it to hurt Josh Siegelman as he was a well- respected student at the law school. Well folks, it did not work. Josh bravely stood up for his dad! It is sad still today that the University of Alabama Law school allowed itself to be used as a political tool for the Republican Party to try to reimage Judge Fuller, the wife beater, as ethical. They can claim all they want they did not know. But every lawyer around who knew of Judge Fuller had heard for years how he treated women and political foes. It was no secret in courthouses he worked in. I might add when Don Siegelman's office had investigated Fuller for backlogging pay records it was the opinion of many that the people Fuller was over-paying knew he was having affairs and to keep them quite he met their demands with extra work time and money. Which is one reason the state retirement system fought Fuller so hard on the overpay. They did not want to pay for his running all over the place with women on the state's dime. So when I heard the University of Alabama Law School was inviting him to speak I was pretty disgusted and saw it got covered by a few reporters, as I knew Fuller was ethically challenged and him speaking on ethics just seemed so wrong. The University of Alabama as a result of this ridiculous invitation now has the distinction of having asked and honored a Wife Beating Judge to speak on ethics, which to me is outrageous. I have zero tolerance for wife beaters or judges who stay in political cases they have conflicts in. I have heard from some not to use the word wife beater. But even if he gets off criminally, he still beat the hell out of poor Kelli. We all heard a part of the fight thanks to 911. His own family has showed us just how ethical he is -- as it is them we learned this story from in the police report. And I for one believe them. This causes me to think about young Josh Siegelman and how he stood up to this man about the innocence of his father in front of his classmates. It makes me realize I was right to come forward for Don Siegelman. He and his wife and kids are brave people. And I hope that Kelli and her kids get away from this guy and are brave as well. And from what I read her boys were brave young men that night and took her home. I think the damage Mark Fuller did to Kelli was horrible. I also think the harm he did to Siegelman and Scrushy was horrible. Their families suffered. And as for the University of Alabama Law School well I expect better. I hope we never see a time again in this state when a law school is used to reimage an ethically challenged, wife-beating Judge. What message does it send that they let a well known womanizing Judge -- about whom there was whispers about wife-beating -- speak on ethics? So yes I guess I can say at the time I was furious. But now I am profoundly sorry they let my law school be used as a reimaging tool for wife beating Judge Fuller. Those of you who know me know I have spent 25 years in the trenches working in the courts in rural Alabama to protect families as much as I could from domestic violence. And to have this guy just keep beating on women while sitting on the bench is intolerable, not just for me but is an insult to all women in this state. To hold him up as a beacon of ethics did make me furious and I got right to work seeing the stories got told as to what is really going on. It now makes me sad cause they had heard the stories I know they had as the reporters I helped told them! Why would they do such which is what I want to know? Fuller should be removed from that bench. He is unworthy of it. How could any woman in our state feel safe ever again in front of him. I am proud I spoke out against him and told Siegelman and Scrushy all that the Republicans had to say about him as they knew him as a womanizer all the way back to the backlogging, which is why he hated Don Siegelman so much from what I was told. Don knew I was telling the truth on Fuller when I first came forward as he remembered the investigation. But he had not realized the deep grudge Fuller held for him nor did he know about the millions in contracts he was being paid. Looking back, I don't think Don Siegelman realized he had stumbled on Fuller's fatal flaw of being a womanizer as Don's bunch was only trying not to lose a bunch of state money. I don't think they realized Fuller's women problems went so deep but he will have to speak to that himself. But that, I believe, has always been the core of Fuller's hatred for Siegelman. Scrushy back then upon hearing my story hired an independent investigator to check it out as he had not known. And everything I had told him checked on Fuller, including the backlogging story. Don Siegelman and Scrushy -- fearing for my safety since my house mysteriously exploded in flames and my car got ran off the road -- did not mention my name in their motions by Parkman but attached some of my documents. Fuller took that research and complained to the Choicepoint people, who cut off my friend’s company who had helped me prove my claim of vast government contracts. Millions upon millions paid right during the trial of Don and Richard. It is hard to imagine all that has happened. But I for one hope whether Don gets out or not which he should that we get this wife beating Judge off the bench so he can do no more harm to our state. It is time for not only the Democrats to call for his removal but also the Republicans. He is an embarrassment. Surely George Bush regrets this appointment decision as he always stood for zero tolerance as well. Let’s get Fuller off the bench and let's do it fast! We must not tolerate a wife beater and cheater any longer sitting on the bench. As for Don Siegelman well you all know I think he is innocent and I have faith that we can close this story. I hope the 11th Circuit realizes and learns that years ago Don’s office tried to stop a young DA from wasting state pension money to pay hush money to folks that knew he was having an affair. That years later the DA became a judge and deep to his core he hated Don when it really was his own actions that cost him public embarrassment. So he shackled and chained Don Siegelman in a case he had no business staying in as he had a conflict. He thought the truth would never surface and this is no fairy tale he beat his wife and well folks it all came out all his affairs even the one that Don Siegelman's office investigated him on. When he was trying to over bill the state all those years ago. That is how true hatred starts. That is why Mark Fuller hates and always did from day one Don Siegelman. Poor Don's people should have put Fuller in jail when they caught him trying to cover up his affair with retirement backlogging .They did not go there as Don was too much of gentlemen but Fuller let that hatred grow of folks knowing something was wrong and he had no problem throwing away the key on Siegelman and Scrushy. It is strange how it has all come out now but I am glad! My grandmother Simpson use to say you can't hide the truth it has a way of shining out. Well maybe this will have a fairy tale ending that is if Fuller gets removed from the bench for the very reason he hated Don Siegelman. Plus Siegelman gets the new trial he has ask for! As for me well I go merrily on my way and can say all you folks that lied on me well shame on you. It appears truth is marching on folks. 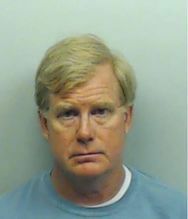 OpEdNews, Siegelman's Judge Accused of Wife-Beating, Affair With Clerk, Andrew Kreig / Aug. 11, 2014. http://ow.ly/Adh9C Atlanta police this weekend arrested on a wife-beating allegation the Alabama judge who helped railroad into prison former Alabama Gov. Don Siegelman. Police charged U.S. District Judge Mark Fuller with misdemeanor battery following an altercation late Saturday night at the luxury Ritz-Carlton Hotel with Fuller's second wife, Kelli Fuller, 41, a former clerk in Fuller's courthouse. Police reported that she was bloody with hair pulled out, but that she declined hospital treatment. The police report said that Kelli Fuller accused the judge of cheating with another clerk who worked with him, and threw a glass at him after both had been drinking. Fuller, 55, shown in a mug shot, sits in Alabama's federal district based in the state capital of Montgomery, where he was chief judge from 2004 to 2011 in charge of administration. Financial cutbacks and self-censorship in the traditional media are reducing the kind of local coverage of police dockets resulting in the Fuller arrest. Yet these are precisely the kinds of stories that open the window to much larger corruption. In this case, the story provides rare criticism within the mainstream media of the powerful judge who enabled the frame-up of Alabama's leading Democrat, thereby fostering one-party rule in the state. A former Republican leader, businessman and state prosecutor in Alabama, Fuller presided in 2006 over the federal corruption trial of Siegelman, the state's leading Democrat. Siegelman remains in prison on a six-year term that Fuller imposed with unusually harsh terms. Fuller refused the bond normally granted in white-collar cases during appeals, and ordered Siegelman paraded out of court in chains before the media. Siegelman was placed solitary confinement in various out-of-state prisons to keep him away from family and media inquiries. The harsh sentence following many pro-prosecution rulings and courtroom irregularities by Fuller that have been approved by appellate judges and Justice Department officials. Unprecedented protests by legal scholars, former prosecutors and outraged members of the public have failed to budge authorities to grant relief for Siegelman or probe his opponents like Fuller in any meaningful fashion, even though Fuller's career began in 2003 with an unrelated complaint seeking his impeachment for corruption. Fuller's arrest in the understandable context of a domestic dispute provides rare mainstream media coverage of a central player in one of the nation's great human rights scandals. It implicates both the Bush and Obama administrations at the highest levels. Dana Jill Simpson shared a link. I thought you all might enjoy Andy Kreig's new article. Andy highlights all that I said about MarkFuller's role in the Siegelman case years ago. He also mentions how I was furious at the University of Alabama Law School for allowing Fuller to speak on ethics several years back. I thought I would share before you read it exactly why I thought it was so horrible that the University brought Fuller to campus that year. I thought it was horrible not only because I knew the kind of man Fuller was as a result of the Siegelman case but because he chose to do it while Don Siegelman's boy was studying there. I heard from a republican at the time that Fuller did it to hurt Josh Siegelman as he was a well respected student at the law school. Well folks it did not work Josh bravely stood up for his dad! It is sad still today that the University of Alabama Law school allowed itself to be used as a political tool for the Republican Party to try to reimage Judge Fuller the wife beater as ethical. They can claim all they want they did not know but every lawyer around who knew of Judge Fuller had heard for years how he treated women and political foes it was no secret in courthouses he worked in. I might add when Don Siegelman's office had investigated Fuller for backlogging pay records it was the opinion of many that the people Fuller was over paying knew he was having affairs and to keep them quite he met their demands with extra work time and money. Which is one reason the state retirement system fought Fuller so hard on the overpay they did not want to pay for his running all over the place with women on the state's dime. So when I heard the University of Alabama Law School was inviting him to speak I was pretty disgusted and saw it got covered by a few reporters as I knew Fuller was ethically challenged and him speaking on ethics just seemed so wrong . The University of Alabama as a result of this ridiculous invitation now has the distinction of having ask and honored a Wife Beating Judge to speak on ethics which to me is outrageous. I have zero tolerance for wife beaters or Judges who stay in political cases they have conflicts in. I have heard from some not to use the word wife beater but even if he gets off criminally he still beat the hell out of poor Kelli we all heard a part of the fight thanks to 911. His own family has showed us just how ethical he is as it is them we learned this story from in the police report and I for one believe them. This causes me to think about young Josh Siegelman and how he stood up to this man about the innocence of his father in front of his classmates. It makes me realize I was right to come forward for Don Siegelman he and his wife and kids are brave people and I hope that Kelli and her kids get away from this guy and are brave as well and from what I read her boys were brave young men that night and took her home. I think the damage Mark Fuller did to Kelli's was horrible. I also think the harm he did to Siegelman and Scrushy was horrible. Their families suffered and as for the University of Alabama Law School well I expect better. I hope we never see a time again in this state when a law school is used to reimage an ethically challenged wife beating Judge. What message does it send that they let a well know womanizing Judge who there was whispers about wife beating speak on ethics. So yes I guess I can say at the time I was furious but now I am profoundly sorry they let my law school be used as an reimaging tool for wife beating Judge Fuller. Those of you who know me know I have spent 25 years in the trenches working in the courts in rural Alabama to protect families as much as I could from domestic violence and to have this guy just keep beating on women while sitting on the bench is intolerable not just for me but is an insult to all women in this state. To hold him up as a beacon of ethics did make me furious and I got right to work seeing the stories got told as to what is really going on.